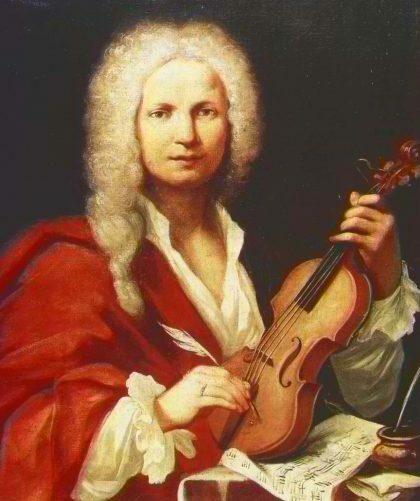 First Parish in Lexington will present a concert of Antonio Vivaldi’s Gloria and other vocal and orchestral music on Sunday, April 7, 2019 at 3:30 PM. The concert will feature the First Parish sanctuary choir, soloists, guest singers, and a baroque orchestra playing on period instruments directed by harpsichordist Rip Jackson with Christina Day Martinson as concert master. Vivaldi’s Concerto for 4 Violins and Concerto for 2 Violins, Johann Hertel’s Concerto for Oboe and Trumpet and arias by Handel, Purcell and Bach will also be presented at the concert. Hearing baroque music with period instruments is a very special experience. 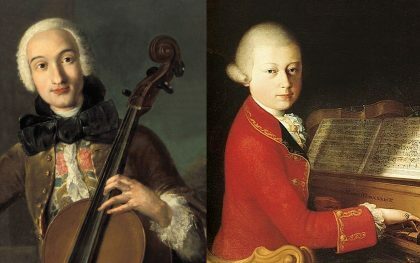 The members of the orchestra will perform on original instruments of the eighteenth century or on reproductions of them. The stringed instruments use predominantly gut strings and are fitted with sound posts and bridges which are thinner than those on their modern counterparts. These aspects, along with the lighter Baroque bows, produce a more articulate sound. Baroque woodwinds are equipped with a minimal number of keys whereby chromatics are achieved with different combinations of fingerings. The baroque trumpet (natural trumpet) is valveless and has a sweet, pure tone. The low pitch (A-415 Hz.) enhances the dark sound of these instruments, which blend in a manner quite different than that heard in a modern symphony orchestra. The harpsichord and positive organ are built in the style of 18th century instruments and tuned in an 18th century unequal temperament. The orchestra and vocalists will also perform a Concerto Grosso by Corelli, arias by Handel and a double violin concerto by Vivaldi. A free-will offering will be taken to benefit the music program at First Parish. Come celebrate the New Year and your Scottish heritage with New England’s premier tenor, Austin Burns and special guest Allison Flanagan. Settle in for a rollicking night dedicated to Scotland’s beloved poet Robert Burns who first discovered and transcribed the ultimate New Year’s song, “Auld Lang Syne!” Sets will include songs about the beautiful countryside, wild men like Burns himself, some toe tappers, and sweet ballads. The arrangements featured are by Maureen McMullan (professor at Berklee), Arthur Foote, Franz Haydn, and Austin Burns. What is Burns Night? Burns night is an annual tradition celebrated around the world with various events throughout the month of January to celebrate the birth of Robert Burns (January 25). It is a celebration of Scottish heritage where participants are encouraged to read poems by Robert Burns and other authors. The poems are often of a lighter nature and can contain salty language on rather bawdy subjects. The celebrations also include a salute to the haggis (a savory meat pudding) listening to a bagpiper, dressing in kilts, dancing, and of course plenty of drinking. To truly celebrate Burns night I need you to come prepared to have a good time. All are optionally encouraged to wear kilts, tartan colors and dancing shoes! 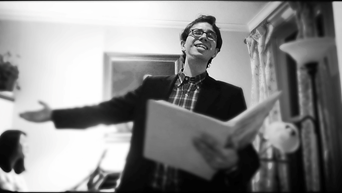 Austin Burns is a tenor, arranger, and composer known for his themed programs and conversational performance style. 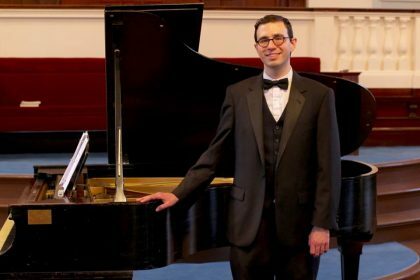 His expanding repertoire includes Scottish songs, Irish songs, Neapolitan songs, songs from the Gilded Age, A Three Tenors Tribute Concert, and many more. 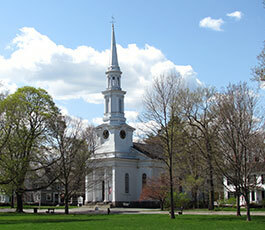 Austin performs throughout New England at various historic homes and social clubs. Notable performances include concerts at Marble House in Newport R.I., Hamilton House in South Berwick ME., and Eustis House in Milton MA. Austin has also performed at The Harvard Club, The St. Botolph Club, and the Boston Public Library. There will be a freewill offering to defray expenses. For more information, visit www.fplex.org or call 781-862-8200. First Parish in Lexington will present a concert of Gospel and Broadway music on Sunday, November 4, at 3:30 PM. The concert will feature the First Parish sanctuary and children’s choirs and soloists, guest singers, and a 10-piece jazz band performing solo and choral Gospel music and selections from Broadway including Godspell, Les Misérables, and Oliver. The concert, titled Jams for Justice, will take a free Will offering with 100% of the proceeds to benefit LexRAP (The Lexington Refugee Assistance Program). LexRAP is a Lexington-based non-profit organization focused on making Lexington a welcoming place for refugees and helping them directly. Wheelchair access via elevator at rear entrance. Graphic is “Jazz Makers 1” by Eric Waugh. Used with the artist’s permission. A dozen choral ensembles from Lexington, including the First Parish adult choir, will be raising their voices together in the 13thth Annual Lexington Choral Festival on Sunday, April 29th at 3:00 p.m. hosted by St. Brigid Church. This year’s Festival features over 200 singers participating from 12 area churches, temples, and religious communities. Admission is free and open to the public. “This year, the festival seems more crucial than ever,” says Festival organizer Mark Morgan, the Director of Music at Hancock Church, “in this time of seemingly ever increasing division in our country and across the world, the Festival sets an important, and very public, example of how we can come together and share our gifts and traditions with one another, rather than treat everyone as “the other.” This year’s festival encompasses a wide array of Jewish, Christian, Hindu, and Unitarian communities. Each community shares songs of their own choice, then all will join together as one massed choir in the singing of The Heavens Are Telling from Haydn’s The Creation. The Lexington Choral Festival was first held February 26, 2006 at the First Baptist Church of Lexington. Minister of Music, Dr. Robert Eaton invited Lexington choirs to participate in an afternoon of sharing their musical talents and worship cultures with others in the community. It featured performances by five area choirs, a combined performance of “The Gift of Love” and audience participation. The event was so well received it was decided to make it an annual event with different houses of worship hosting the Festival each year. Participating this year are choirs and ensembles from the Bhakti Center of Lexington, Church of Our Redeemer Episcopal, Church of Jesus Christ of Latter-Day Saints, First Baptist Church of Lexington, First Parish Unitarian Universalist, Hancock United Church of Christ, Pilgrim Congregational Church, Sacred Heart Catholic Church, St. Brigid Catholic Church, Temple Emunah, Temple Isaiah, and Trinity Covenant Church. A reception will follow the show, and all are invited to attend. The concert will take place at St Brigid Church, 1981 Massachusetts Ave in Lexington. Admission to the concert is free and open to the public. Free parking is available and the church is handicap accessible. First Parish in Lexington will present Paul Winter’s Missa Gaia: A Mass for the Earth on Friday and Saturday, April 13-14, 2018 at 7:30 PM. This profound work, under the musical direction of Rip Jackson and theatrical and dance direction of Maris Wolff, will be a collaboration between the First Parish sanctuary and children’s choirs, the Vermont Dance Collective and a world music ensemble of percussionists, guitar, piano, electric keyboards, soprano sax, oboe, cello and bass. Integrating world music with songs from the Wild to celebrate the whole earth as a sacred space, the Missa Gaia was commissioned by the Dean of the Cathedral of St. John the Divine as a contemporary ecumenical Mass for the Earth. Paul Winter has “achieved a distinguished triumph in combining divergent music styles and imaginatively wedding voices, instrumentation and recorded sounds of a tundra wolf, canyon and musical wrens, harp seals, a flight of loons and singing humpback whales.” There will be an Earth Fair and reception featuring Lexington environmental organizations in Parish Hall after both performances. Tickets will be on sale through the office at First Parish and online. Tickets are $25 for adults, $20 seniors and $15 for students. Reduced ticket prices are available for those in need. For more information, visit www.fplex.org or call 781-862-8200. Pre-concert drumming at 7:15 pm. First Parish welcomes Nirmal Chandraratna, a New York City-based Kirtan artist and composer with a passion for nurturing connection – to spirit, to community, and to one’s deeper self – through music. 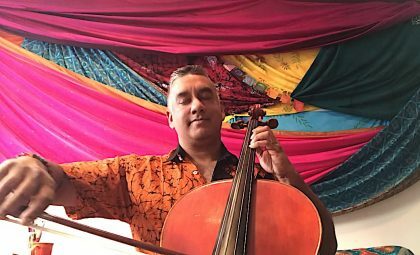 Using the voice, the harmonium and the cello, he creates music for Kirtan and meditation, and works for communal performance. He will collaborate with our director of music Rip Jackson. 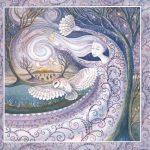 In this evening experience, set in a dynamic, meditative environment, you are invited to connect with your intentions, both for yourself and for the world, and to let them take flight using the transformative power of sound. Layered textures of the human voice, cello, and percussion will weave a tapestry of music and mantra. Though sound vibration works on subtle levels, even at the level of human perception, we are able to receive and interact intentionally with vibrations, not only through our ears but also through our bodies: we respond viscerally to beauty in the form of harmonics, rhythm and melody, and we can work in this space to align our lives with our vision for a better world. At the beginning of the evening, we’ll come together as a community, singing together and sharing our intentions. We’ll raise the intensity, and then you’ll be invited to settle into a comfortable position to meditate in a darkened, candle-lit environment as a concert of expansive music and textures unfolds. Nirmal Chandraratna was born to Sri Lankan parents in Rochester, New York. He began studying cello at 9 years and continued until the end of his undergraduate years at Brown University. 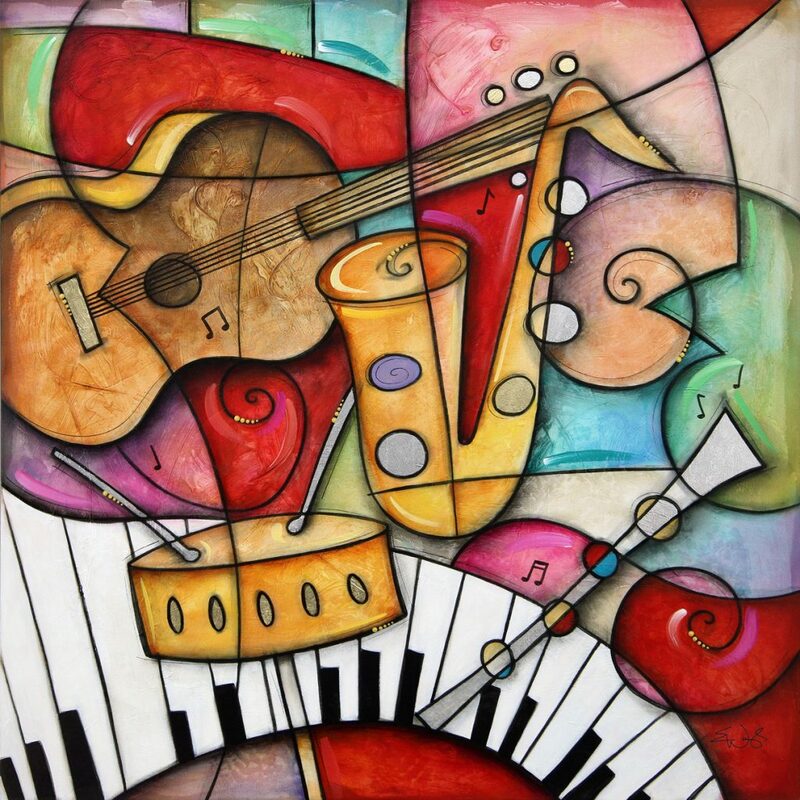 There he received his BA in Music, led a jazz a cappella group and arranged music for a 24-member cello choir. Nirmal found his passion in music composition and received his Masters in Music in 1998 from San Francisco Conservatory of Music, where he concentrated on vocal composition and opera, and then further explored dramatic music at the BMI Lehmen Engel Musical Theater workshop in New York City. In 2010, Nirmal discovered Kirtan, a call-and-response practice of singing mantra, and fell in love with Kirtan’s intentionality and immersive nature. He began studying Sanskrit, Eastern philosophy and mantra, and has been leading Kirtan ever since; he has sung Kirtan in the Netherlands, Quebec, Boston, New England, upstate New York and New York City. Kirtan and mantra have influenced his other compositions in his desire to continue to include the audience into a musical experience in an intentional manner, and he also offers guided meditations on the chakras, Sound Journeys, live music for yoga classes, and other creative offerings. On Sunday afternoon, January 28 at 2:30, tenor Austin Burns and pianist Rip Jackson will present a concert of music from the “Gilded Age.” The Gilded Age was a term coined by Mark Twain and refers to a society which is “gilded” or thinly coated with a gold layer while under the surface lies the poor working conditions of the lower class. This is a program that draws striking parallels to today’s economic and political climate. Sets from the program reflect not only the struggle of the 99% but also the forgotten voices of women, African Americans, and refugees. It confronts the history of oppressed groups but it also acknowledges the white privilege that so many of us take for granted. A freewill offering will be taken. For more information, call 781-862-8200 or visit www.fplex.org. THIS CONCERT IS POSTPONED DUE TO ILLNESS. IT WILL BE RESCHEDULED. Sarasa Chamber Music Ensemble is delighted to launch the new year with the sublime music of Luigi Rodolfo Boccherini and Wolfgang Amadeus Mozart in its new concert series at First Parish in Lexington. Led by the “interpretive eloquence and technical sparkle” of violinist Elizabeth Blumenstock, Sarasa will explore the brilliance of Boccherini and Mozart through the guise of their string sextet repertoire. It will be a great opportunity to hear a live, big string sound in this combination of two violins, two violas and two cellos. Don’t miss the chance to hear this sumptuous music performed on original instruments. Sunday, January 21, 2018 at 3:30 pm, First Parish in Lexington (7 Harrington Road, Lexington, MA 02421). For more information, please visit sarasamusic.org or telephone 617.429.0332. 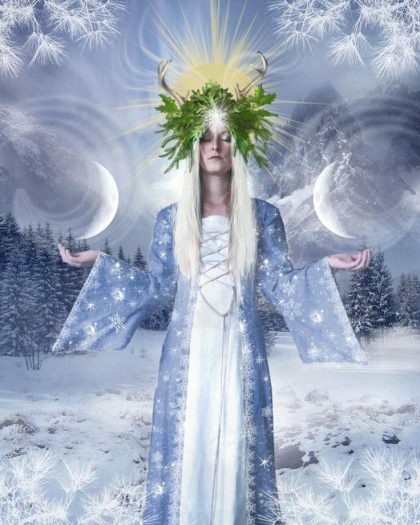 On Sunday morning, December 17, First Parish in Lexington will present a special worship service celebrating the winter solstice at the 10:30 AM service. Through beautiful music, hymns, sermon and poetry, the powerful transformation from darkness to light will be uplifted. Artist and soprano sax player Katie Runde and pianist Rip Jackson will play some of the music from the Paul Winter Consort that can be heard at St. John the Divine during the Winter Solstice Concerts there each December, including the rousing piece “Dancing Day.” The sanctuary choir will also sing deep and mystical settings of solstice poetry and other seasonal music. For more information call the church at 781-862-8200 or visit www.fplex.org.